The Samoa vs New Zealand match was historic. It may not be the full spectacle with it being a World Cup year, but try telling that to New Zealand and Australia rugby fans. The All Blacks and Wallabies are both unbeaten as they go into this weekend’s Rugby Championship decider in Sydney looking to make it 3-0, the chance to earn the Bledisloe Cup, as well as bragging rights and an opportunity to set themselves up nicely for the Rugby World Cup in a little under two months. Apart from winning, there’s plenty at stake and on offer for both sides. Steve Hansen’s side possess a stunning record, winning 29 games, drawing one and losing just one in their last 31 matches since being beaten 38-21 by England nearly three years ago – their sole defeat in that time their 27-25 loss to South Africa in 2014’s Rugby Championship. They also have a fourth straight Championship to chase, having dominated the southern hemisphere event since it debuted in 2012, replacing the old Tri Nations. For Michael Cheika’s revamped Aussies, there’s the obvious carrot of beating the All Blacks to break their monopoly on the Championship. Also, having made the headlines for all the wrong reasons in the last 12 months off the field and with the vultures circling having not exactly shone on it, the Wallabies winning on Saturday would send out a warning signal to their rivals ahead of the World Cup that they are still a force to be reckoned with. Earlier this month, they were hailing it as the greatest sporting day in the country’s history. The ‘Test that stopped a nation’. Richie McCaw and Co were given a rapturous reception by the islanders before given a serious run for their money on the pitch by the hosts as the visitors scraped a 25-16 win at Apia Park. And now, the Samoa RU is picking up the pieces after one of the happiest sporting moments in the history of the country left a sour taste. The cash-strapped Samoa RU spent $3.4 million putting on the game, but Samoan Prime Minister Tuilaepa Sa’ilele Malielegaoi revealed the game collected just $1.9m in revenue, including gate takings and merchandise. The bulk of the money went towards the players’ allowances, even though many of Samoa’s foreign-based players committed to the game at their own expense. “So there was a loss of $1.5m but that’s the reality faced by the union. The truth is that the union needs at least $10m every year for its international fixtures,” said Malielegaoi. The loss means the union will likely seek aid from government bodies such as the Samoa International Finance Authority. Samoa has a long history with New Zealand and has provided the world’s best rugby with some of its greatest players, including Frank Bunce, Tana Umaga, Jerry Collins, Bryan Williams, Mills Muliaina, Rodney So’oialo and Va’aiga Tuigamala. Would it be too much to ask for the New Zealand Rugby Union to put its hand in its pocket and help their island brothers out? After all, Samoa has already done so much for the land of the long white cloud. It’s a tough thing to admit that racism is not only still prevalent in sport, but on the increase. It can be said for football, but it also seems this is true in rugby too. 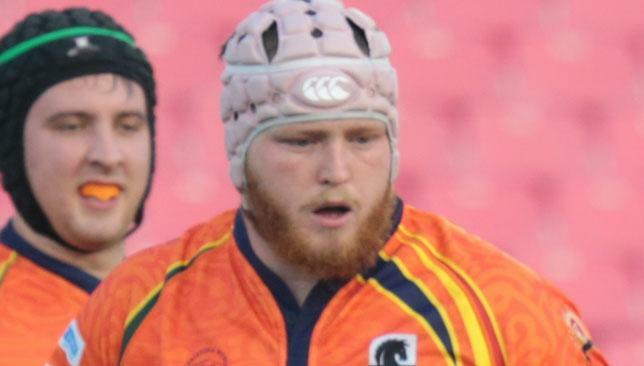 The Canterbury Rugby Union is working with Christchurch’s Lincoln University to try to identify who was responsible for racial abuse hurled at a Fijian player from the sidelines at the weekend. Sake Aca was playing for Christchurch Rugby Club in the Metro Grand Final against Lincoln and was the target of racial taunts during the second half at Rugby Park. The abuse reportedly came from a Lincoln University supporter and was said to have been so bad Aca asked the coach if he could leave the field. Unfortunately for Aca he didn’t even have the consolation of a cup triumph, as Lincoln won the match 24-19. The Canterbury Rugby Union says the Christchurch club had made contact about the incident and the union is investigating the matter. What’s worse is that it is not the first time something like this has happened. Similar allegations were made following a division one game between Mid Canterbury side Hampstead and North Canterbury outfit Saracens earlier this season. There have been several interesting developments in UAE rugby this week. The first was that despite their emergence into a genuine force in Gulf rugby last season, it seems Abu Dhabi Saracens are still struggling to emerge out of the shadows of their more established capital city rivals, Harlequins. South African Centre Pieter Morton announced his departure from Sarries this week, citing the development of his career as his major reason for picking Quins. True, Quins have more of a presence in the city having been established in 1974, Sarries as recently as 2011. Their youth set-up is much more developed and they play in the impressive surroundings of Zayed Sport City, while Sarries are based on the outskirts of town, on the sandy surroundings of Al Ghazal. Still, 2014-15 was a breakout year for Sarries, who improved dramatically throughout the season and capped their coming of age by being crowned West Asia champions. Yet still, Morton chose to leave. He’s entitled to his opinion and I’m sure the move will stoke up the rivalry even more ahead of the new season, but Sarries are a club on the rise and that will only continue. Speaking of the new season, the UAE Rugby Federation made sweeping changes to how the new 2015-16 season will be rolled out. Gone is the elite Gulf Top 6, to be replaced by a nine-team competition renamed the West Asia Championship. Meanwhile, the UAE Premiership will feature home and away fixtures next season, meaning double the games. There are pros and cons to the announcement. Last season, and in previous campaigns, the UAE domestic rugby season has been too staggered. Just as players had gone through the gruelling UAE summer of pre-season and got ready for the campaign ahead, it was over. After the five Premiership games and the final, played on October 31, there was a gap of over a month until the Dubai Sevens – and that is only a three-day competition. After that there was another break of over a month until the GT6 started. So, in that sense, extending the Premiership season is a good thing. However, the games will remain staggered, with rounds 1-7 played between September and November, and rounds 8-10 played in March and April. Also, unlike previous seasons, the new West Asia Championship will feature all six UAE teams instead of the top four Premiership teams that qualified for the GT6 in recent seasons. They will join Doha, Bahrain and Muscat from the Gulf Premiership and each team will play their opponents once. The fact there is no incentive to qualify from the Premiership, other than winning that title of course, and that the West Asia Championship does not conclude the club rugby season in the Gulf, leaves a little to be desired. Byrne (r) is optimistic ahead of the new season. Lots of UAE rugby teams have been defying the heat to train during the scorching summer months, but you will have to go some way to beat Arabian Knights’ preparations for the new season. The UAE Conference side had a month of ‘pre’ pre-season training prior to Ramadan, with many of the club’s male and female players being teachers who are away for the majority of the summer. Even when the educators left, those left were still hard at work training on the beach ahead of the club’s first official pre-season session that took place at Dubai Sports City earlier this week. Knights UAE international prop Tyson Byrne says the players have been putting in the extra work in order to be ready for the new campaign. “The first official training was on Monday night, mainly ball handling drills with fitness built in to them. It’s been hard graft but the positivity from the group made you want to push harder,” said the 24-year-old Irishman. The club has a new head coach this season, Ian Dawson stepping into the void left by John Taimana, who has moved upstairs into a role supporting the senior sides and liaising with the executive committee. Dawson has been coaching the CNCF (Christina Noble Children’s Foundation) Legends for the last few years and led them to the International Veterans title at the 2014 Dubai Sevens and Byrne has been impressed by what he’s seen so far. “All reports say that he is a good coach and players who have previously worked with him say they enjoyed working with him,” said Byrne. Knights finished sixth in the Conference last season, qualifying for the post-Christmas Top 6. They were sixth there, giving them sixth place overall, and Byrne says the club want to better that this season. “Our goal is to finish fourth this season,” said the front row. Knights open their Conference season against Heartbeat Tigers at Dubai Sports City on Friday, September 25. The UAE also have a Shaheen side for Emirati players. UAE national team head coach Roelof Kotze will reintroduce expatriate players to the national sevens squad this season. 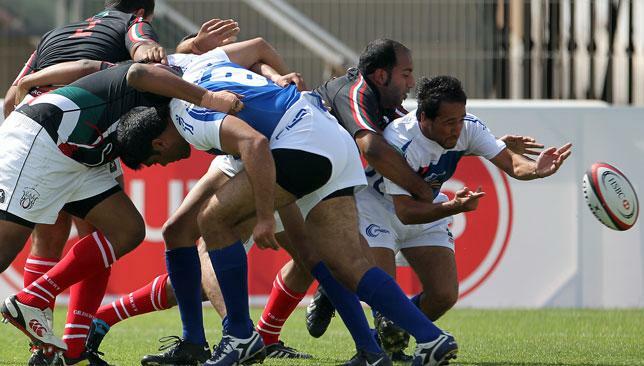 Sevens will debut as an event at the Olympic Games in Rio next year but the UAE missed out on a place after failing to come through the qualifying tournament in Chennai in March. Finishing fourth out of five teams there also meant they failed to automatically qualify for the 2015 ARFU Sevens Series and Kotze says his decision to bring back expat players is designed to boost the UAE team and help them become a regular fixture on the regional circuit. The South African is using the template from the 15 man format, where a mixture of expat and Emirati players form the team. The XVs side beat Thailand and Chinese Taipei in an encouraging tour of Malaysia in May, narrowly losing out on promotion from Division II of the revamped Asia Rugby Championship. “After the Rio Olympics qualification process we decided to bring back expats into the international sevens fold,” said Kotze. “We looked closely at it and we were influenced by how the 15-a-side team did with a mix of Emiratis and expats at the Asia Rugby Championship. “Hopefully it will help us to get some wins under our belt. I think, with the experience the expats have, they can guide us on the field and help the Emirati players grasp the skills needed. “As a player I was coached as much by the older players as I was by the coaches and we believe it will make a difference. The UAE finished bottom of the Asian Sevens Series in 2014, finishing last at all three tournaments in Hong Kong, Malaysia and China. Meanwhile, the UAE 15-man team beat Chinese Taipei and Thailand at the Asia Rugby Championship two months ago and only lost to Malaysia by a point, so Kotze sees no reason why they can’t compete with those nations on the sevens circuit. His aim is to be one of the 11 core sides in Asia, alongside Japan, South Korea, China, Hong Kong, Malaysia, Singapore, Thailand, Sri Lanka, Chinese Taipei and Uzbekistan. Currently, the UAE are regularly invited to sevens tournaments around the world but Kotze wants to put his men in a position in the future where they are good enough to qualify outright. “We don’t want to rely on invites, we want to be good enough, we want to be there by right and I think, by selecting expats, that will strengthen our chances,” he explained. “We want to become very competitive on the Asian circuit and stay on the Asian circuit, we don’t want to be invited to tournaments every year. “At the moment we’re in a position where the first six or seven Emirati players are good enough to be there but the guys on the bench struggle because they couldn’t train properly due to work commitments or have national service. “With four or five expats to fill the gaps, it will help our guys. We need to put players in a position to be able to give their best possible. Of the three Asian Sevens Series events this year, the UAE has been invited to two, the Shanghai Sevens in China between September 5-6, and the Colombo Sevens in Sri Lanka between October 10-11. The Bangkok Sevens in Thailand will be played in-between but the UAE will not make an appearance.